Ralph continues to minister on an almost monthly basis in the Winkler – Morden, Manitoba area of Canada. 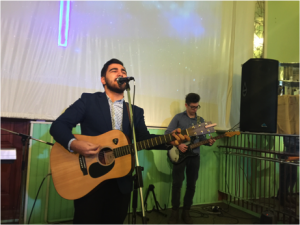 August (the 17th to the 20th) will see him and his team member (Tom Sanders – see picture) in the area ministering at a number of house churches as well as at Fresh Fire Youth on the Friday evening and Flood and Fire on the Saturday evening. Ralph is also mentoring a number of young people in the area. 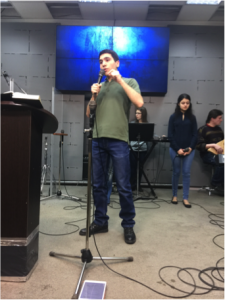 Among them a young man who will be helping plant a new church in the Greater Toronto Area (GTA) and another who is the team member for a November trip into eastern Russia. While there each month Ralph meets with local and regional leaders to encourage and support them as well as reaching out to surrounding communities such as Altona, Carmen and Miami. 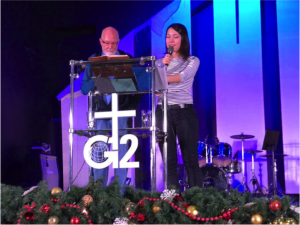 This month’s team member, Tom Sanders, is a long term member of Ralph’s team who has travelled overseas a number of times to minister with Ralph. This will be his second visit to the Winkler area. He is also one of the leaders for the A.P.E.X. 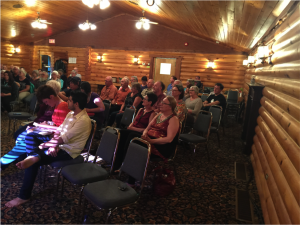 House Church Alliance centered in Regina, Saskatchewan, Canada. We have a resident of Hamiota who will be opening his home to a new expression of the Body of Christ, the Church. 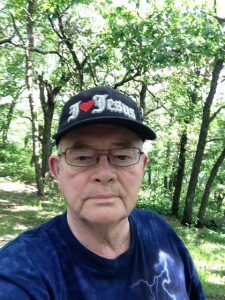 He is a mature believer who Ralph met about 15 years ago while ministering in the Rock Lake, Manitoba area. This Spirit filled church plant will begin in the fall as Ralph and others travel to Hamiota, Manitoba and surrounding area to minister and evangelize. Please be in prayer for this outreach. 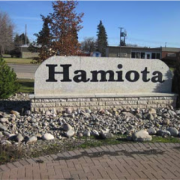 Hamiota is located between the Trans-Canada and Yellowhead highways, 84 Km from the city of Brandon. In a 20 Km trade area there are 10,000 residents of all ages and occupational backgrounds. Seven Days Apparel is a clothing line that fights world hunger. With the help of Convoy of Hope, every item purchased from Seven Days Apparel feeds a child in a developing country for seven days. Our goal is to provide premium clothing while having our customers experience the satisfaction of knowing they are changing the lives of people in less fortunate countries. Every month Ralph ministers in Southern Manitoba. His trips there have become more frequent and his stay during each trip is longer because of the increasing work that he is involved in there. Ralph spends a good portion of his daytime hours mentoring leaders and potential leaders. Due to a major move of the Holy Spirit there are many new churches being planted and solid leadership is in short supply. 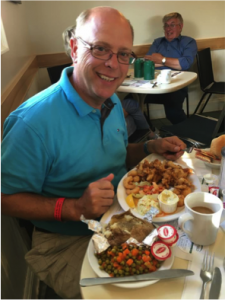 Part of the calling on Ralph Howe Ministries is to “mentor leaders” and so Ralph spends a good deal of his time while there on this important task. And, there are a good number of very mature young leaders that the Lord has called who live in the area. Evenings sees Ralph working with new house churches as well as ministering in more traditional and established churches in the area. During these services and meetings he is always aware that his task is to be “equipping people” and so he teaches to train and equip those in attendance to flow in the supernatural gifts of the Holy Spirit. 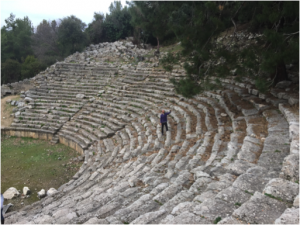 In the last 18 months Ralph has been taking others with him on his overseas apostolic ministry trips and a number of the young men from Southern Manitoba have shown an interest in going with him. So, he meets with them regularly as well, one-on-one as all ministry is relational and thus Ralph wants to know those he will be travelling with before the trip. God is truly moving in Southern Manitoba in a fresh and refreshing manner. And, Ralph Howe Ministries is pleased to be playing a small part in what the Lord is intending to do. 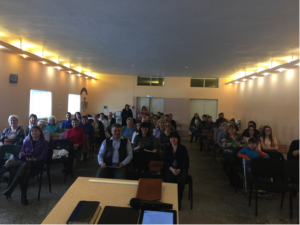 Ralph and a team member had the privilege and tremendous honour to minister to a group of young people (Millennials) in the town of Strasbourg, Saskatchewan on May 8th, 2017. 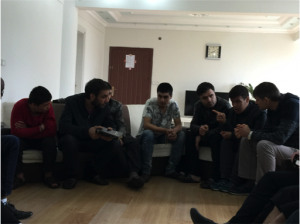 These young people meet weekly to fellowship and study the Bible. And, the deeply desire to hear from God and to know more about Him and His plans for their individual lives. 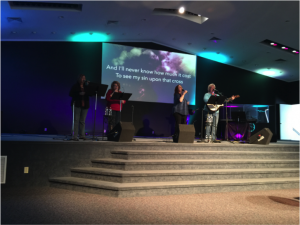 Following a time of fellowship we experienced a powerful time of worship leading to a rededication of our lives and a total surrender to the Lordship of Jesus. Then Ralph was asked to share a little about his ministry including his work overseas. He shared briefly and then showed a video of the life-changing supernatural power of God as He touches the lives of drug addicts and brings them into healing, wholeness, and freedom. Ralph then shared his personal testimony of healing, salvation, and the baptism in the Holy Spirit. This was followed by some very insightful questions being asked that revealed the deep hunger of these young people. Sharing from God’s Word then led to those present practicing the gift of prophecy by seeking a word from God for the person they were to minister to. 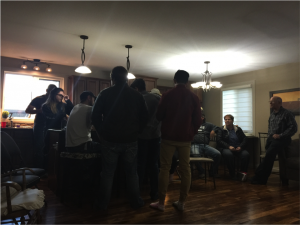 Then we spent some time ministering prophetically to a person who had just begun to attend. And, everyone got involved. Afterwards, everyone shared some wonderful home cooking, coffee, and fellowship. Powerful night. 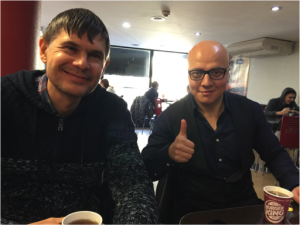 Ralph returned to the city of Yaroslavl in February of 2017. 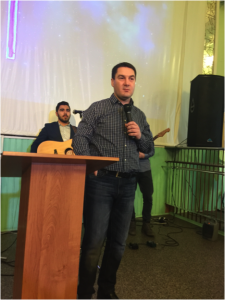 He had spent a wonderful week in November 2016 with this local church and returned to train 600 leaders in the gifts of the Holy Spirit and how to live a supernatural lifestyle as well as evangelize using the supernatural gifts of the Holy Spirit. 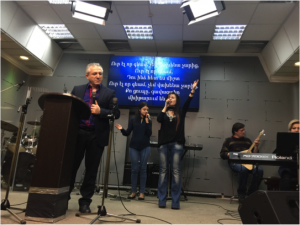 He ministered in two campuses of the local church, an Armenian church plant, and a weekly service for four rehab houses for recovering drug addicts who come together weekly to worship and grow in God’s Word. 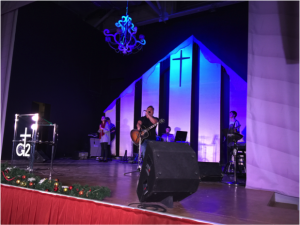 As well, on Sunday he ministered in two other cities in churches that relate to the church in Yaroslavl. 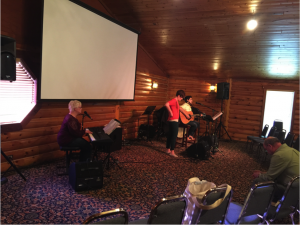 Worship was a vital part of every service and the presence of the Lord was powerfully experienced each and every time. 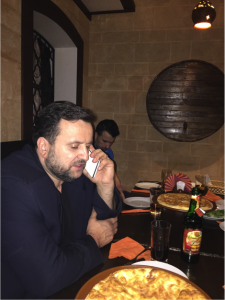 Pastor Andrea – a wonderful and godly man and leader of this large church he planted 25 years ago…. Singer and guitarist is another of the pastor’s sons. Ralph travelled to Ohio in January to attend the wedding of a young man whom he mentors and is building a powerful friendship with. Jacob and Ariel Wachtel – January 28th, 2017. While there he also ministering at The River Church in Butler, Ohio and continued his work among the elders and leaders of that local church. As well, he ministers at a joint meeting of the Ohio House Church Movement. 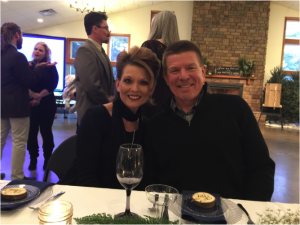 Ron and Darla – leaders of a number of house churches in Ohio. 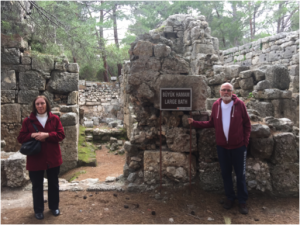 Ralph and a team member, Jeremy Wachtel from Ohio, spent two weeks in Turkey ministering together. 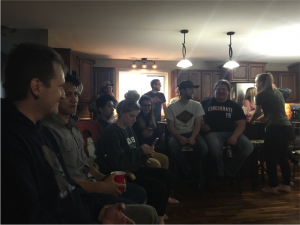 It was a powerful time of ministry but also a good opportunity to connect as team members. Ralph has been mentoring Jeremy for a number of years and that relationship has now entered a friendship stage where they travel as equal members of the team representing Jesus through Ralph Howe Ministries. 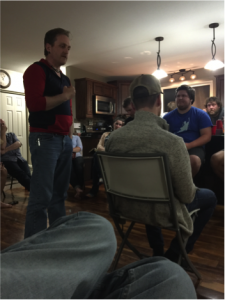 First picture: Ralph sharing his testimony at a drug rehab house. 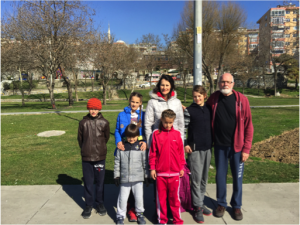 There were 11 countries represented in this house in Istanbul and five different languages. made for interesting sharing. Many of those in the room were from other religions or atheists. Second picture: Ralph and Jeremy sharing at a meeting of leaders from various house churches and ministries on the topic of discipleship and making disciples. A powerful afternoon of teaching and prophetic ministry. Third picture: The host family that we stayed with. Amazing children and a good time of fellowship. Fourth picture: Alexander (on the left) – our host. he is working in various ministries touching the lives of Muslims with the love of Jesus. 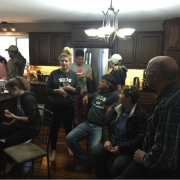 Almost every month Ralph has been travelling into Southern Manitoba to the cities of Winkler and Morden as well as surrounding towns to minister. 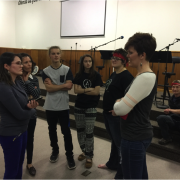 In Southern Manitoba there is a major move of the Holy Spirit that is touching the lives of many young people as well as others who are leaving religion and are looking for life. 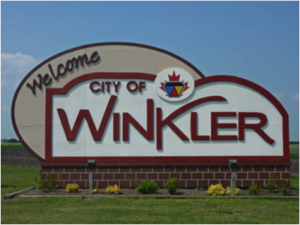 Winkler – April 26th to May 3rd. Ralph will, once again, be in the Winkler – Morden area of Southern Manitoba again this month – April 26th to May 3rd. 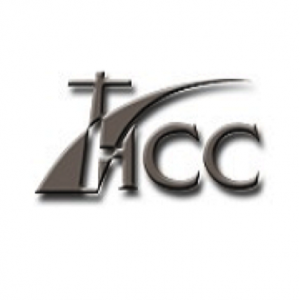 Ralph is working with the leaders of a number of house churches and more traditional churches in both the cities of Morden and Winkler as well as surrounding towns and rural areas. He travels to this area on an almost monthly basis. 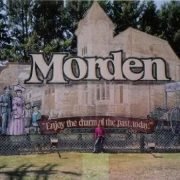 This trip he will be working, for the first time, with Hillside Community Church in the city of Morden. He will be teaching on the Baptism in the Holy Spirit and the resulting supernatural gifts of the Holy Spirit and their use in reaching out to see the lost saved. As well, he will be meeting with church leaders and building relationships within the local congregation. He will be working with Pastor Kevin Jamieson and the elders of Hillside as they work together to bring a fresh vision and direction to this amazing local church. Ralph will also be ministering during this visit in the city of Winkler and surrounding districts. As always, he will be meting one-on-one with leaders as well as with several young men that he mentors as well as several who will be heading overseas with Ralph as team members in the fall and early winter. ralph http://ralphhoweministries.com/wp-content/uploads/2017/08/ralph-howe-ministries1.png ralph2017-04-19 15:35:112017-12-30 22:26:38Winkler - April 26th to May 3rd.